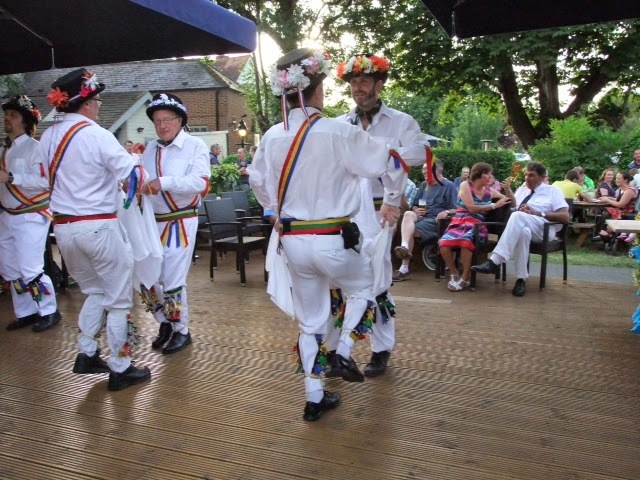 Almost ....... almost by Royal appointment - this was certainly one of our highlights on this years events calendar - dancing on Nag's island in the middle of the Thames - perfect setting! 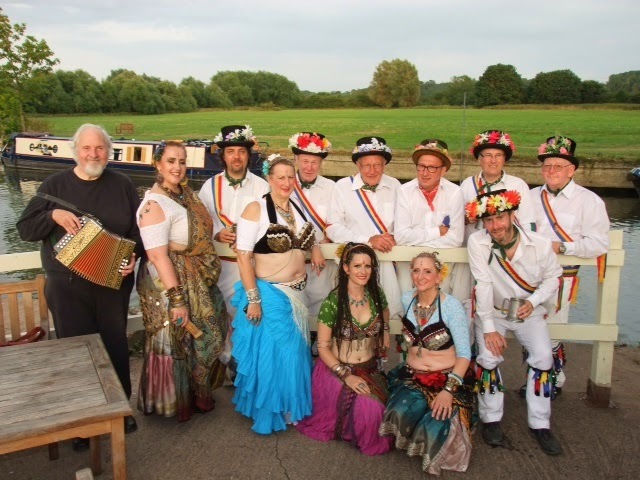 We were invited to join Mr Hemming's Morris dancers to perform at the Royal Swan Upping at the Nags Head, Abingdon, where we danced for a very appreciative audience and team of swan uppers who'd been hard at work all week, counting and tagging swans. Along with so many, many people basking in the humid evening sun, the beer flowed, darkness fell and the lightening lit up the darkening sky making a beautiful backdrop over the river, and when the soft rain fell, we sheltered under the huge umbrellas, still sipping our drinks, thankful for the cooler air and watched the rain fall into the Thames. Thank you Les, for once again inviting us to share the stage with you all. Yep, truly a glorious evening!